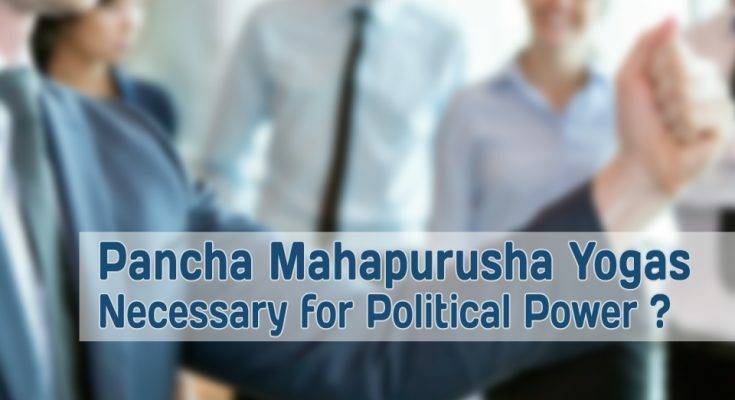 Pancha Mahapurusha Yogas Necessary for Political Power? The career or profession of a native depends on the planetary positions at the time of birth. These also include various Yogas present in the horoscope. Among them, Pancha Mahapurusha Yogas are said to be one of the contributory factors for conferring fame and success on the native. How far is it true in the case of the ruling class? 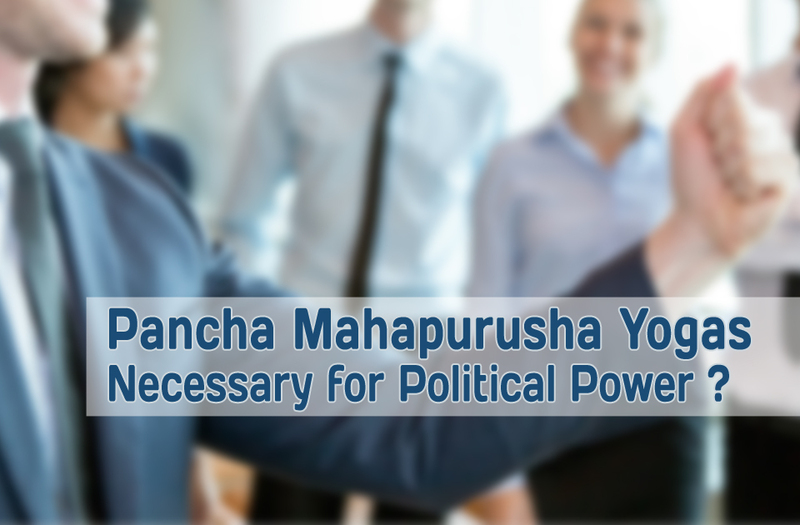 This research paper is an attempt to ascertain whether the Pancha Mahapurusha Yogas, if present in a horoscope, contribute to the success of a politician or a ruler. The horoscopes of 340 leading politicians and rulers of both the past and the present times were collected, the source being reputed journals, books and the internet. These horoscopes were examined diligently to determine the presence of Pancha Mahapurusha Yogas in them. The Pancha Mahapurusha Yoga may be defined as planetary combinations formed by the non-luminaries, viz., Mars, Mercury. Jupiter, Venus and Saturn in their own sign or in exaltation occupying a Kendra from the Ascendant. The resulting Yogas are Ruchaka, Bhadra, Hamsa, Malavya and Sasa respectively and collectively known as Pancha Mahapurusha Yogas. Phaladeepika has stipulated certain conditions for the fructification of these Yogas — the Ascendant and the Moon and the Yoga forming planets should be without blemish, i.e. they should be vested with strength and not associated with or in conjunction with malefic, nor should they be combust or hemmed between malefic. Brihat Parasara Hora Sastra, Jataka Parijata, Saravali and many other treatises give identical definitions to the Pancha Mahapurusha Yogas. Dr.B.V. Raman in his 300 Important Combinations has furnished a detailed account of these Yogas with results of each one of them. Statistically, these Yogas can appear in many birth charts but their effects may not show up in all cases. According to Manasagari Jataka Paddhati, if the planets causing these Yogas are in conjunction with the Sun or the Moon, the highest achievements due to the Yoga such as occupying the royal position, association etc. will not be enjoyed during their Dasa-Bhukti periods; only ordinary good results will be enjoyed by the native. Similarly, if the planet-forming the Yoga happens to be the owner of the 6th, 8th or 12th house, these Yogas will not produce the desired effect. The planet should also not be powerless due to Shadbala. It is said that one or more of such Yogas at birth makes one illustrious or a Mahapurusha (hence the name). According to Mantreswara, these five Yogas can be reckoned from the Ascendant as well as from the Moon and will be effective from both the places. However, Brihat Parasara Hora and 300 Important Combinations by Dr Raman do not concur with this view. Mantreswara also adds that if these planets are placed in a Kendra from the Ascendant and the Moon simultaneously, such a Yoga is capable of bestowing Samrajya (making one an emperor) and great Bhagya (luck). These five Yogas influence all individual actions, endeavours and efforts. Although their effects are not Dasa dependent, but they do give exceptional success in their Dasa and Bhuktis. According to Phaladeepika (Chapter 6, Sloka VI-4), one such Yoga makes a person fortunate; two equal to a king; three a king; four an emperor and five, superior to an emperor. The occurrences of other good Yogas, if also caused simultaneously by these planets, enhance their good results. Any aspect or conjunction modifies these Yogas especially if with the Sun or the Moon when they get cancelled. Pancha Mahapurusha Yogas are frequently seen but rarely found to be giving their ascribed results unless the relevant planet is also strong, duly vested with Stanabala, Digbala, Kala Bala or Chesta Bala. 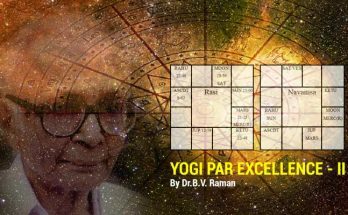 The benefits of these Yogas may vary according to the strength of related planets in the birth chart such as own house, Moolatrikona sign, exaltation etc. Further, the Kendra positions (1, 4, 7, and 10) also give different results since each of the planets achieves Digbala in different Kendras as they are bereft of it in others. Thus, a planet conferring this Yoga, will not have the same amount of strength when placed in different Kendra positions. In short, there are many reasons for the Pancha Mahapurusha Yogas not fructifying or imparting their ascribed results. 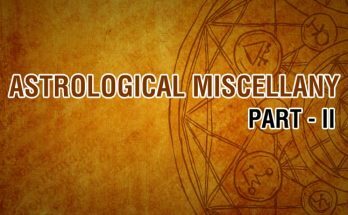 Hence, an astrologer has to be prudent in predicting good results based on the occurrence of these Yogas. The following examples show that Pancha Mahapurusha Yoga need not necessarily show its results in the periods of the planets forming it. Brihat Parasara Hora Sastra, Chapter 77. gives the characteristic features of the Pancha Mahapurusha Yogas. Ruchaka: The native loves to fight wars, is of dark-red complexion, is victorious over enemies, is discriminating, is a protector of thieves and has a cruel temperament. Ruchaka: The native loves to fight wars, is of dark-red complexion, is victorious over enemies, is discriminating, is a protector of thieves and has a cruel temperament. Mars (2nd and 7th lord) is occupying his own house Aries in the 7th from the Ascendant in Chart 1. Hitler was Fuhrer of Germany from August 1934 to May 1945. 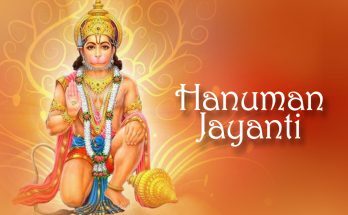 He was running Rahu-Jupiter-Ketu Vimshottari Dasa in August 1934, not connected with Ruchaka Yoga. However, Jupiter and Ketu, the Bhukti lord and Antar Dasa lords respectively, are expecting Mars, the Yoga-causing planet by their trinal aspect. Bhadra: The native is splendorous, like a lion, is well versed in Sastras, possesses an independent nature and is the protector of his family. 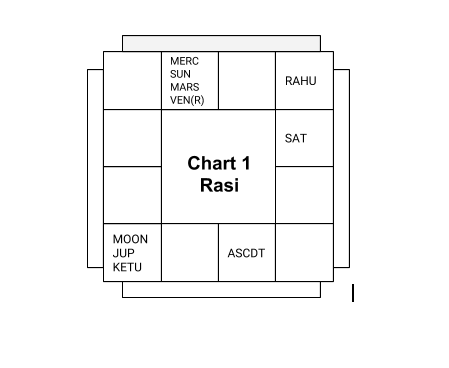 Previous Article 9 Vastu shastra tips you should know! Next Article How the moon phases can affect your life?